>China's Military Has No Combat Experience: Does It Matter? China's Military Has No Combat Experience: Does It Matter? In February 1943, U.S. troops suffered a humiliating defeat in their first major battle with German forces during World War II. At Kasserine Pass, Tunisia, their inexperience was evident in the indiscipline and fragile morale of the troops; a dispersed, vulnerable deployment; and a rigid, inflexible approach to command and control. The United States paid for its inexperience with the lives of about 6,500 men. Two decades later, a clash between inexperienced U.S. troops and another seasoned adversary produced a different outcome. In 1965, during one of the first engagements of the Vietnam War, outnumbered U.S. soldiers at Ia Drang fended off numerous assaults by North Vietnamese conventional forces over several days. Using accurate artillery fire, close air support, and novel doctrines of air mobility, the disciplined, well-led American forces fought skillfully against a resolute and capable adversary that had been at war for decades. Although U.S. forces eventually withdrew from the battlefield, they did so in good order and inflicted at least twice as many casualties as they incurred. Intuitively, the idea that experience should give a military some advantage seems self-evident. Yet as these two examples illustrate, how much experience matters remains far from clear. In the first case, inexperience correlated with poor decisionmaking, weak battlefield performance, and high casualties. In the latter case, however, an inexperienced force nevertheless demonstrated competent decisionmaking and effective battlefield performance, and it sustained fewer casualties than the enemy. Even the idea of “combat inexperience” carries its own ambiguities. Very few of the American troops entering the two battles had fought before, but the U.S. Army they served in had been shaped by the experience of previous wars. The U.S. Army on the cusp of World War II had fallen into unreadiness after an extensive demobilization from World War I, two decades prior. By contrast, the U.S. Army in 1965 had seen extensive fighting within two decades and maintained a higher level of readiness despite the conclusion of the Korean War and World War II. China's military has an increasingly impressive high-tech arsenal, but its ability to use these weapons and equipment remains unclear. Today, China's military has an increasingly impressive high-tech arsenal, but its ability to use these weapons and equipment remains unclear. There are reasons to be skeptical. The People's Liberation Army (PLA) struggles under the legacy of an obsolete command system, rampant corruption, and training of debatable realism, among other issues. President Xi Jinping, the chairman of the Central Military Commission, has directed major efforts to address each of these defects and improve the military's ability to fight and win wars. Since 2016, these organizational and other reforms have gained momentum. Yet the one asset that the PLA conspicuously lacks is combat experience, and Xi can do little about it short of waging war. But there is no consensus—either within Chinese military circles or among foreign analysts—on how much it matters. Although it engaged in a minor naval skirmish with Vietnam over the Johnson South Reef in 1988, the PLA last fought a major conflict nearly 40 years ago, when a seasoned Vietnamese military demolished a bungled Chinese invasion in 1979. 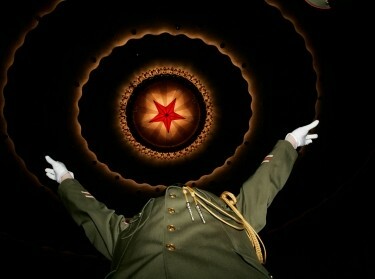 The ghost of that defeat still hovers over the PLA. 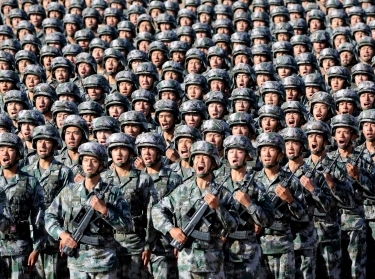 In China, authorities have largely chosen to ignore an embarrassing conflict that fits awkwardly with Beijing's narrative of a peaceful rise, but the official silence has left many PLA veterans disillusioned about their participation in the war. The few combat veterans who remain in service will all retire within the next few years, which means the military will soon have no personnel with firsthand combat experience. 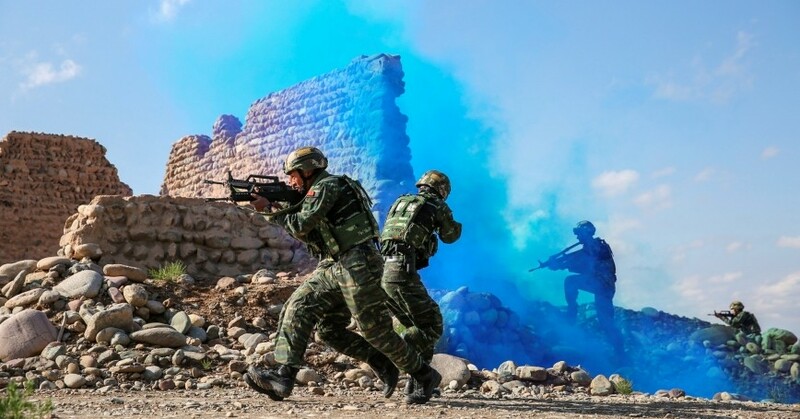 Without the test of combat, the PLA's war-fighting prowess remains unproven. Chinese authorities acknowledged this point earlier this year when the military's official newspaper, the PLA Daily, criticized what it described as “peace disease.” Decades of peace and prosperity, the newspaper warned, have exacerbated corruption and undermined readiness. Dissenting from this view, the PLA Navy's newspaper dismissed the issue in an essay citing examples in which veteran militaries suffered defeat at the hands of less-experienced adversaries. Some Western commentators have pointed out that neither the U.S. nor Chinese militaries has fought a major war against a peer military since World War II—and last battled each other in Korea—which further raises questions about the significance of inexperience. The debate over how much combat experience matters for the PLA frequently conflates two related but distinct issues. The first concerns the operational significance of combat experience for China's military. In other words, how much does inexperience affect the PLA's potential battlefield performance? The second concerns the strategic significance of experience. How much does the PLA's relative inexperience affect the potential outcome of a war involving China? Even without battlefield experience, training matters. Considerable evidence shows that better educated soldiers are easier to train, more adept at operating and maintaining sophisticated weapons and platforms, and more capable of executing complex tasks. Both the quantity and quality of military training correlate with superior military performance as well. Military units that undergo realistic, demanding training which simulates combat conditions tend to fare better (PDF) in battle than those that have not had similar training. For example, after the U.S. Navy founded the Navy Fighter Weapons School in 1969 to provide more rigorous and realistic training, its pilots experienced a dramatic improvement in its loss exchange ratio against the North Vietnamese, from about 4:1 between 1965 and 1967 to 13:1 after 1970. And as the examples of Kasserine and Ia Drang illustrate, how much a military invests in maintaining the infrastructure to transmit lessons between wars can greatly influence prospects for combat performance in the next conflict. Social, cultural, and political factors can help win or lose wars, as well. In some cases, ideology and culture can encourage a furious fighting style that can help compensate for material disadvantages, as Japan demonstrated with its “banzai” culture in World War II and many highly motivated insurgencies showed in overthrowing their colonial overlords. Militaries that can operate with minimal interference by political authorities tend to demonstrate greater adaptability on the battlefield than forces whose decisions are made for political, rather than operationally sound, reasons. Units riven by social, ethnic, or sectarian divisions have generally proven less resilient and less lethal than more cohesive units. The PLA's disastrous performance in the Sino-Vietnam War owed a great deal to such factors. The Cultural Revolution directed by Communist Party Chairman Mao Zedong in the late 1960s decimated the officer class and destroyed much of the professional knowledge that had been accumulated over decades, especially after the fall of Lin Biao, one of the PLA's most talented generals, and his followers. The deleterious consequences (PDF) are evident in the PLA's reversion to discredited, but low-skill, tactics like the human-wave assault, as well as in the inability of infantrymen to navigate or read maps, and the inaccuracy of artillerymen due to unfamiliarity with procedures for measuring distances and calculating firing distances. Competent management is also required to supply, transport, and support troops in war, and to ensure retention, training, and preparation in peacetime. Technologically advanced militaries depend on systems that link weapons and troops to sensors, satellites, and command centers. But it takes technical and management skills and knowledge to assimilate state-of-the-art technologies into a cohesive, lethal whole. All of these factors can affect how efficiently a society can translate resources into military power. So, what role does combat experience play in all this? Research has confirmed its importance in improving some measures of survivability and performance. One study, for example, found that maneuver battalions under experienced commanders in the Vietnam War suffered one-third fewer (PDF) battle deaths compared to those with inexperienced commanders. Combat experience does not automatically translate into military advantage. Militaries require institutions, processes, and procedures that can learn the right lessons from battlefield experience. But combat experience does not automatically translate into military advantage. Militaries require institutions, processes, and procedures that can learn the right lessons from battlefield experience and improve their performance. Military academies and research institutes can help systematize insights into superior doctrine or develop more lethal weapons and technologies. Scholars have noted that a major source of the German military's adaptability and lethality in World War II owed (PDF) in part to its deliberate, thorough analysis of its after-action reviews and willingness to implement changes accordingly. All these factors (except perhaps motivation) are extremely resource-intensive, and for this reason many of the qualities associated with superior military performance tend to improve as resources become more plentiful. At least some studies suggest that cultural and institutional barriers to military effectiveness could dissipate as states become more economically developed. This suggests China has the potential to make gains in many areas of military effectiveness, even if it does not fight a war. In sum, experience alone doesn't ensure superior battlefield performance—a painful lesson the seasoned, but seriously deficient Iraqi military learned in the Gulf War. Experience is but one of many factors that contribute to combat effectiveness. Militaries that have mastered the other variables, as the United States did in the lead-up to the Gulf War, can more than compensate for a lack of experience. Moreover, mastery of the other factors can position a military to profit from its experience more quickly and thoroughly, a key attribute of high-performing militaries. In China's case, the PLA has made impressive gains in raising (PDF) education levels, the quality of recruits, the realism of training, and an overall readiness for a broader range of missions. After a disastrous performance in the 2008 Wenchuan earthquake, for example, the PLA carried out an overhaul of its approach to such operations. As a result of these changes, military forces have operated more effectively in subsequent major relief operations. The PLA has also eagerly sought opportunities to deepen its experience through non-combat operations. Since 2008, for example, the PLA Navy has deployed a counter-piracy (PDF) task force near the Horn of Africa. The PLA has expanded its participation in U.N. peacekeeping operations around the world as well, and deployed its first full infantry battalion in 2015 to South Sudan. 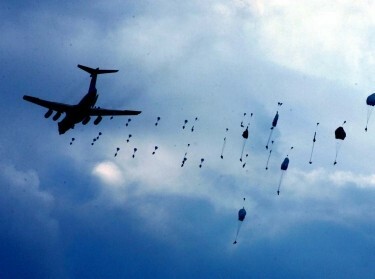 The PLA has also stepped up its involvement in humanitarian assistance and disaster relief; in 2011, the Navy competently carried out a major noncombatant evacuation operation in Libya. The PLA has likely improved its combat readiness from a very low level, but how much remains unclear. The persistence of corruption, concerns about the realism and rigor of its training, challenges in integration, and mismanagement provide grounds for skepticism. Moreover, given the PLA's history of cover-ups and prevarication, Chinese leaders have sound reasons to doubt the military's assurances of successful reform. Combat reveals truths about competence more clearly than any peacetime analysis. Short of going to war, Chinese leaders will likely have little choice but to rely on observations of peacetime performance to assess the PLA's overall readiness, and these simply do not test the military's capabilities to the extent war would. At the strategic level, how much does experience matter in determining the outcome of a war involving China? History provides ample examples of well-prepared militaries that won wars with a knockout blow. In 1940, a seasoned German Wehrmacht fresh from its victory over Poland overwhelmed the French military and quickly occupied the country. At the Battle of Yalu River in 1894, an outgunned, but better-trained Imperial Japanese Navy decimated the poorly prepared Chinese Beiyang Fleet. The Qing government surrendered months later. In both cases, inexperience on the part of the defeated militaries contributed to longstanding weaknesses in training, leadership, integration, and other factors. The lure of a quick victory over an inexperienced, unprepared force can be deceptive, however. In 1941, Japan miscalculated that the destruction of the U.S. fleet at Pearl Harbor would undermine the American will to fight. Instead, the United States summoned all of its resources to build a victorious war machine. In 1950, North Korea surprised an ill-prepared South Korea and nearly prevailed. Once the prospect for quick victory ebbed, however, United Nations and South Korean forces rallied and fought the North to a standstill. These latter examples illustrate how any advantage granted by superior combat experience diminishes over time. As wars drag on and both sides accumulate experience, factors such as training, leadership, access to resources, civil-military relations, and the institutional ability to draw and implement lessons learned are likely to prove more decisive. Combat experience thus matters for China at the operational and strategic levels, but its significance can be overstated. At the operational level, other factors such as leadership, training, preparation, and motivation are more responsible for determining military effectiveness on the battlefield. Weaknesses in these areas are more likely to impair the PLA's performance more than inexperience. Inexperience matters mainly in that it obscures the extent of the PLA's deficiencies, impairing an accurate assessment of all the factors that contribute to combat readiness. At the strategic level, a war between Chinese and U.S. forces would likely involve high-intensity combat that neither side has experienced. The outcome of an initial clash could go either way. With adequate preparation and planning and under ideal circumstances, it is possible that China could prevail in a first battle. Whether China had made sufficient efforts to overcome the sizable gaps in the quality of its command, training rigor, integration, and other factors could prove important if the conflict drags on. But even then, the ultimate outcome of a long war between the two global powers will likely be decided by factors beyond the control of generals and admirals, such as economic strength, political cohesion, and national resolve. Timothy R. Heath is a senior international defense research analyst at the nonprofit, nonpartisan RAND Corporation. This commentary originally appeared on Foreign Policy on November 27, 2018. Commentary gives RAND researchers a platform to convey insights based on their professional expertise and often on their peer-reviewed research and analysis. Michael S. Chase, Jeffrey Engstrom, et al.